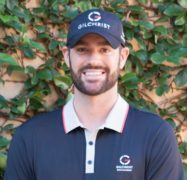 Grant joined the GGGA team in the fall of 2013, bringing a great deal of knowledge and experience to the Academy and Elite Junior Development Business. 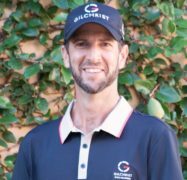 Grant started his professional coaching career at the acclaimed National Golf Club in Melbourne, Australia as a part of the Australian PGA Education system. 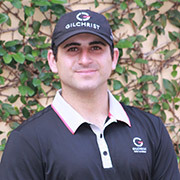 After 2 years, Grant moved to South East Asia to become the Junior Development Manager and eventually Owner of the Asian Golf Institute based at the Keppel Club in Singapore. Grant would remain in Singapore for 6 years coaching players of all levels. 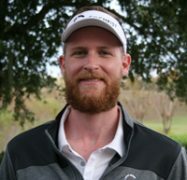 Prior to turning professional, Grant enjoyed a successful junior and amateur career and played NCAA DI golf at the University of Southern Mississippi. Working for Gary Gilchrist is the most professionally rewarding experience of my life. To be able to assist him coaching players on a daily basis from juniors to major winners is unbelievable. 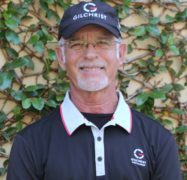 Gary is so passionate about golf, coaching and especially junior golfers and watching him bring out the best in a person, both professionally and personally, is something that is amazing to watch. There is a difference between INSTRUCTING and COACHING, and Gary is truly the best in junior golf at COACHING players in all 5 areas. The GGGA System of training truly allows students to LEARN, PREPARE and PERFORM. In 1995, Bryan graduated from the Professional Golf Management Program at Ferris State University and has been a Class “A” Member of the PGA of America since 1997. 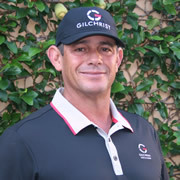 Prior to joining the Gary Gilchrist Golf Academy in the spring of 2011, Bryan spent 11 years as a Head PGA Golf Professional managing two 18-hole private facilities, Fox Valley Golf Club and Spooner Golf Club in Wisconsin, where he oversaw golf operations, the on-course golf shop and performing all golf instructional programs. 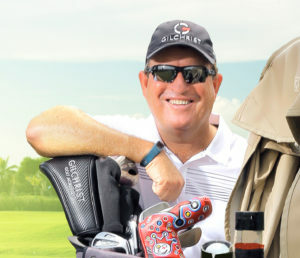 His experiences teaching the game of golf on the lesson tee and golf course have helped him improve the golf games of golfers from all ages and skill levels throughout the United States. I couldn’t imagine a better program that has been created for any young inspiring golfers to attend. 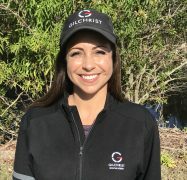 Working as a coach for the Gary Gilchrist Golf Academy, I have an amazing opportunity to teach and coach juniors with goals, desires and drive to better their futures academically, personally and professionally. 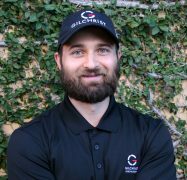 David joined the GGGA team in the fall of 2013 after moving over from Black Bear Golf Clun where David was the Head Golf and Teaching Professional. Prior to his time at Black Bear, David was the First Assistant and Teaching Professional at Forest Lake Golf Club and had and also spent one year caddying on the LPGA Symetra Tour. 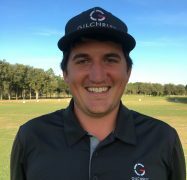 He has also spent the last year developing and teaching students and coaches in China for the Gary Gilchrist Golf Academy. 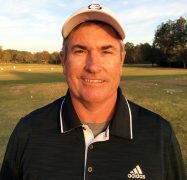 David is a very accomplished player and brings a great deal of knowledge both in coaching and tournaments from a playing, caddying and coaching perspective to the GGGA Team. 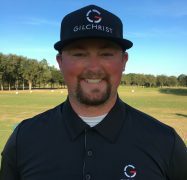 I choose to work for Gary Gilchrist because of his passion for junior golf and his reputation of providing a proven system for training champions on multiple levels. The major component of his system in training all aspects including technical, physical, mental, strategy and character are all keys to not only training champions in golf, but also champions in life! The opportunity to learn and teach side-by-side with Gary Gilchrist and to be involved with a team that inspires and motivates students to reach their full potential is a rewarding experience each and every day. Nick received his undergraduate degree in Psychology from the University of Georgia. After that, he received his Master’s degree in Sport & Exercise Psychology from Georgia Southern University. 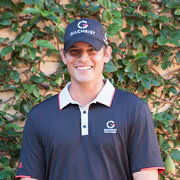 Before GGGA, Nick was the mental performance coach at a performance facility named Cooper Sports Performance in Tampa. Three words to describe him as a Mental Coach…nonjudgmental, empathetic, and passionate. 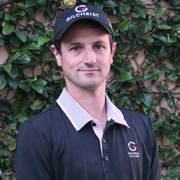 GGGA students will benefit from Nick’s knowledge. 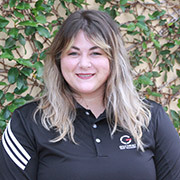 Gilda is a graduate from Florida International University with a Bachelor of Science attending school with a golf scholarship. Together with the “Golden Panthers”, was Conference Champion through her career and graduated with Academic Honors and member of the National Dean’s list. Golf player since the age of 13, achieved the title of two times South American Champion- Peru and Bolivia (96-97), Los Leones Open Champion, Chile (97); Lagunita CC Open Champion, Venezuela (97); Colombia Bucaramanga Open Champion, Colombia (97); Farallones Open Champion, Colombia (97); National Scoring Record-66 strokes (97); Runner Up- International Junior World, San Diego; USA (89) Guatemala Open Champion, Guatemala (94-95); 4 times National Junior Champion in Peru (87-90). 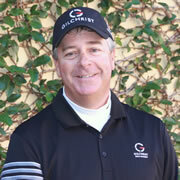 Golf Professional since 1998 and Certified Gary Gilchrist Golf Instructor since 2008.